Back in the early days of BrainLazy, we didn’t have very many contacts in the industry. Two of the first companies to develop a relationship with us were Zen and Twisted Pixel. When we heard that they were collaborating, we knew we were going to have to get our hands on the results. Now, without further ado, the fruits of their labors, the Ms Splosion Man pinball table. You'd think all of that sploding would cause a tilt. Zen had access to plenty of Ms. Splosion Man assets, and it shows. This table is absolutely saturated with Splodey goodness. Dominating the backdrop is the Mighty Eternal, and our volatile leading lady is on hand from the start, standing in the corner and ready to start sploding. As you work your way through the level, more and more aspects of Twisted Pixel’s masterpiece make an appearance. You’ll get an assortment of splodeable barrels, scientists pulling switches, robots, cannons, zip lines. Heck, if you’re skilled, you’ll even catch a glimpse of Splosion Man himself. 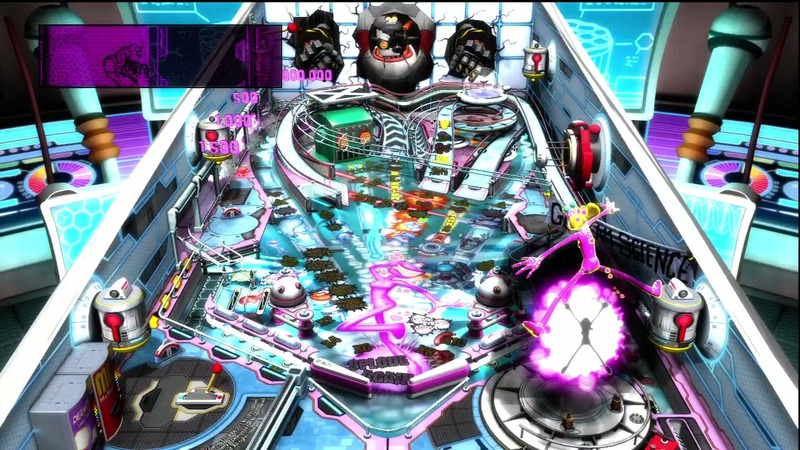 The eagle eyed player will notice that Mr. Destructoid is hanging out on the table. Considering he also made an appearance in Raskulls, I’d say it is time for BrainLazy to come up with a mascot and shop him around for cameos. The visual effects are all straight from Ms. Splosion Man as well, with her characteristic pink splosion punctuating the more notable events. If you’ve been following the site, you’ve read quite a few reviews of Pinball FX 2 tables, so by now you know the drill. 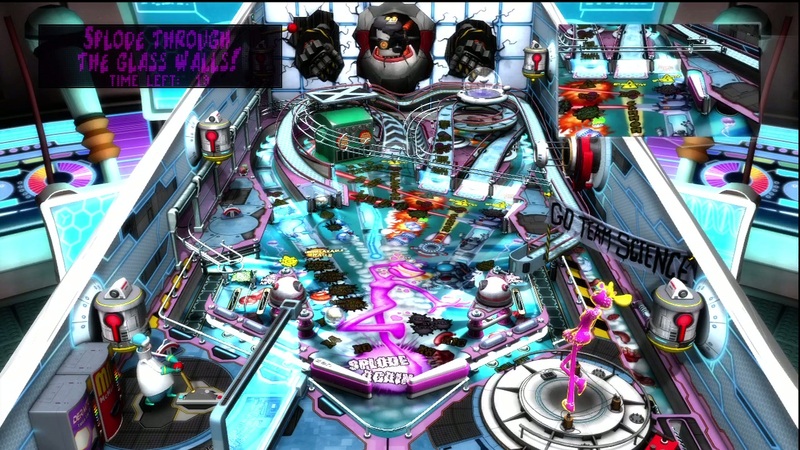 Just like a real pinball table, you begin with all of the usual flippers, bumpers, spinners and ramps. 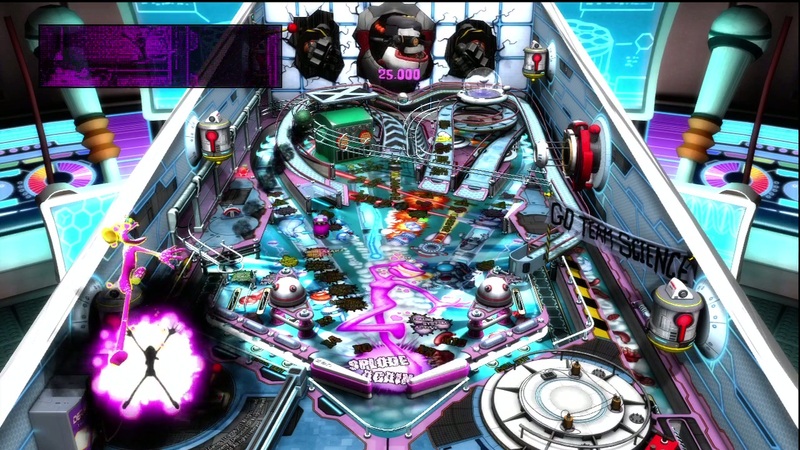 Hit them in the right order, as dictated by the galaxy of flashing lights and indicators, and you will progress through a sequence of increasingly high scoring modes. This time around, the modes represent one continuous boss battle against one of my favorite bosses from the Splosion Man series, The Mighty Eternal. It will involve all of the stunts you’re used to from the game that inspired it, including kinking barrels, sploding force fields, and slapping him in the chin with your balls… actually, that one is unique to this game… And no, it isn’t dirty, get your mind out of the gutter. Two balls? That's just the beginning. 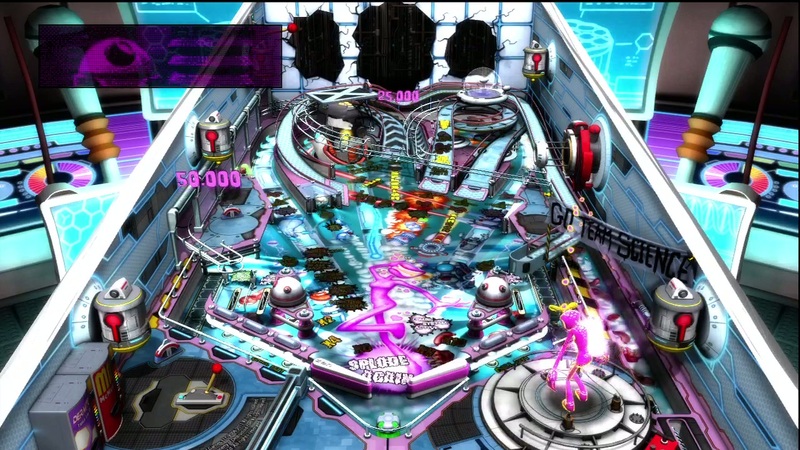 As is always the case with the Pinball FX 2 tables, Ms Splosion Man’s table has got authentic feel to its physics combined with the sort of stuff that physics wouldn’t really allow in reality. 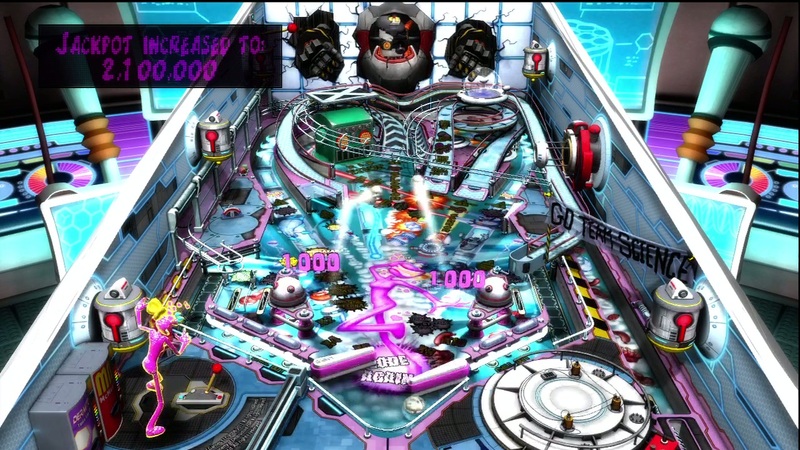 The canons that sent you rocketing around the level in the Twisted Pixel game show up here as launchers that hover above the table and either auto-fire or let you time their launch. Even the physically realizable stuff seems over the top. The multi-ball on this table felt more intense than any of the others I’ve played, for some reason. Just like the visuals, as much as possible was taken from the game of the same name. Ms Splosion Man’s quips are in full force. 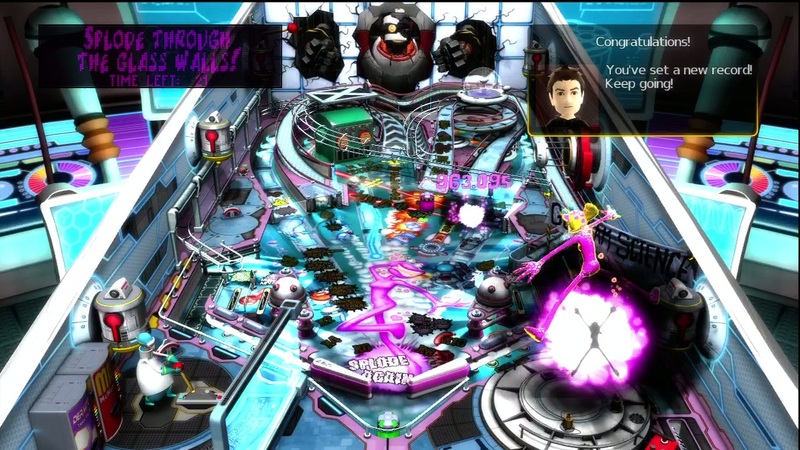 Virtually every interaction with the level rewards you with audio from the Ms Splosion Man, as is the malfunctioning surfer dude commentary from your foe. There’s not just dialog, either. Shattering glass, the alert and activation noise, and the ever present sound of splosion are all property utilized. It wasn’t until I this game that I realized just how deep and varied the sounds from Ms Splosion Man really were. 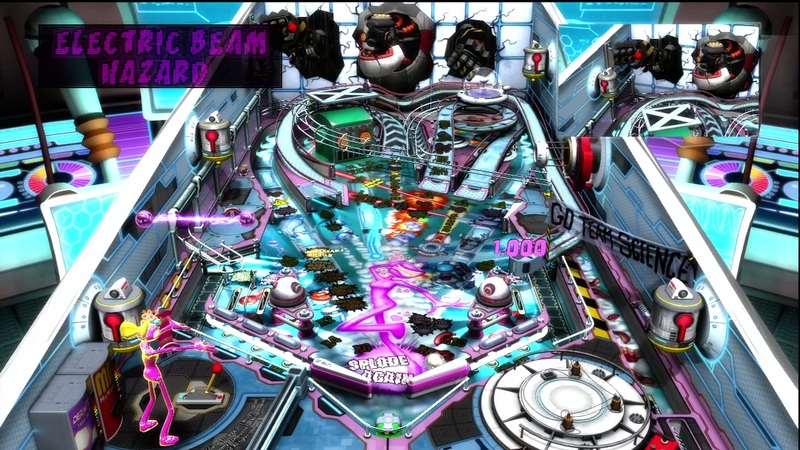 Behind it all is the Ms Splosion Man Theme Song, a song which I enjoy more than I probably should. You are helping Ms Splosion Man rescue her hubby from the remnants of a boss he wrecked in the first game. 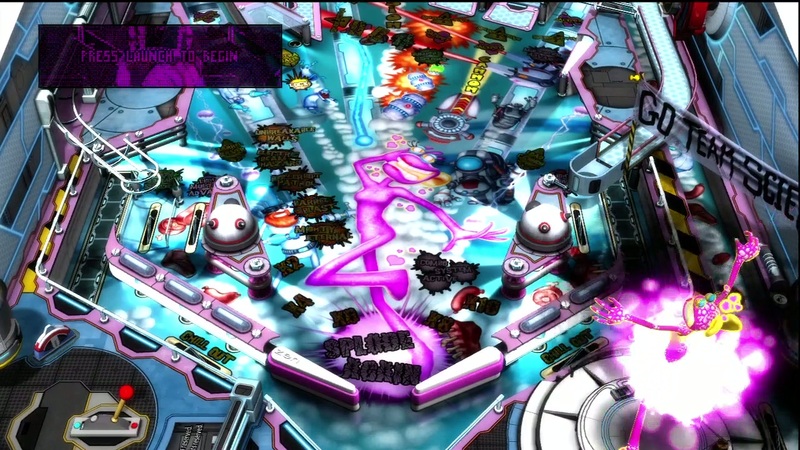 Basically, this is a pinball table that has a plot nearly as nuanced as its inspiration… which doesn’t say much for the cinematic potential for the original game, but is more than enough for the pinball version. 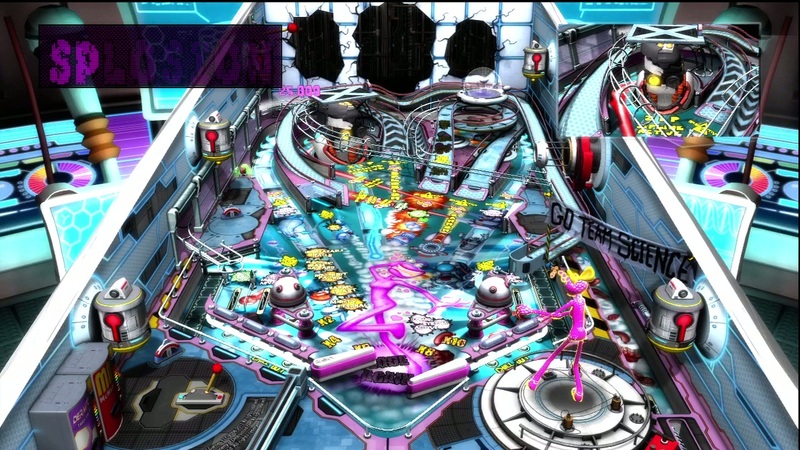 What can I say, Zen managed to combine the frantic, hyperkinetic style and gameplay of Ms Splosion Man and infuse it with an authentic and engaging pinball table. The result is superb. 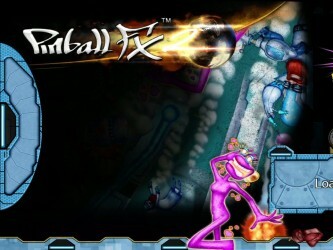 8.5 / 10: Ms Splosion Man Pinball brings the character and feel of Twisted Pixel’s creation to an entirely new game type. Two balls? That’s just the beginning. You’d think all of that sploding would cause a tilt.